QX11780 L/Cpl Mannix James Farrell 2/12 Inf Bn KIA Milne Bay NG on 6 September 1942. Mannix (Mann) Farrell enlisted in the 2nd AIF on 8 May 1941 and embarked with the 2/12 Inf Bn for North Africa. 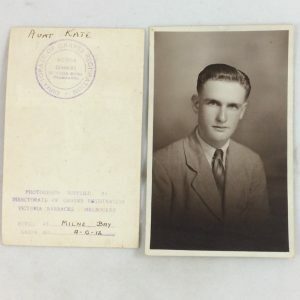 He returned to Australia with the Bn in February 1942 and then moved onto Milne Bay in August 1942. 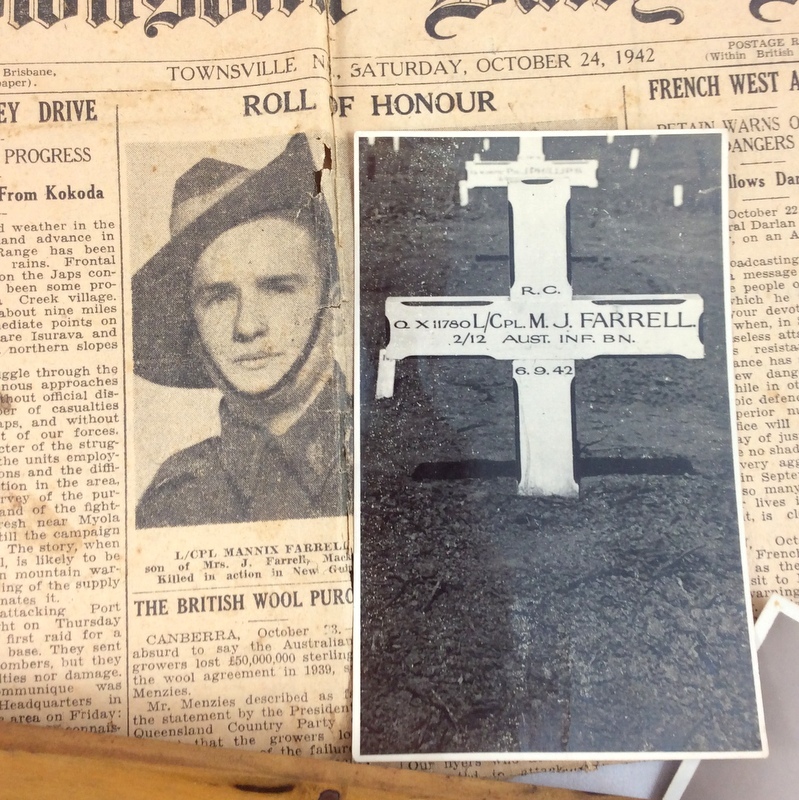 The collection consists of three photos of L/Cpl Farrell’s grave in Milne Bay, photo of Mannix in civilian clothes, newspaper clipping from the Townsville newpaper advising of his death, souvenir booklet from Palestine with foreign currency and a pink hankerchief with AIF/Rising Sun, Kangaroo and Emu.